Rent Buddy Guy’s Legends | Corporate Events | Wedding Locations, Event Spaces and Party Venues. True Blues fans know - There is only one place in Chicago to experience the finest Blues seven nights a week, enjoy southern Cajun soul food, and behold a major archive of Blues memorabilia. That place is Buddy Guy's Legends at 700 S. Wabash! Voted "Best Blues Club" several times over. 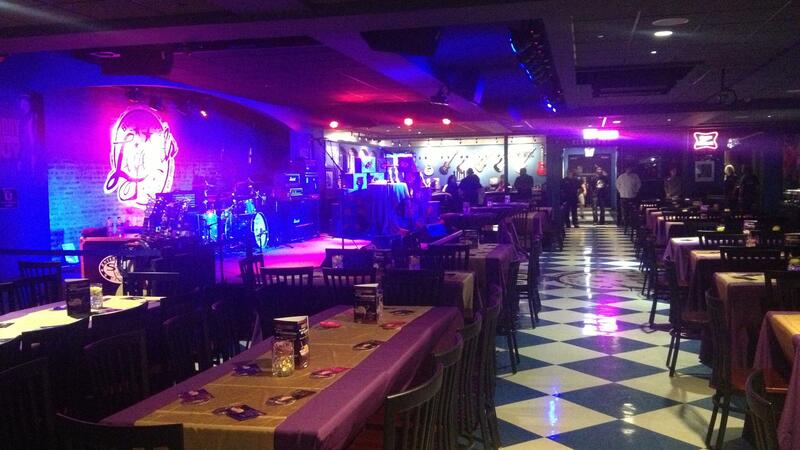 Since its opening in June of '89, Buddy Guy's Legends has built a reputation as the premiere blues club in the world. Backed by Mr. Guy's personal reputation as the crowned king of Chicago's electric blues scene and his 50+ years in the music business, Legends is distinguished for its innovative scheduling of local, national, and international blues acts. In the twenty-five years that Legends has been open, the stage has been graced by some of the world's most talented musicians. Blues greats like Willie Dixon, Koko Taylor, Otis Rush, Albert Collins, B.B. King, Hubert Sumlin, Johnny Winter, Stevie Ray Vaughan, Dr. John and Junior Wells. Rock stars, including Bo Diddley, Eric Clapton, The Rolling Stones, David Bowie, ZZ Top, Lou Rawls, Gregg Allman and Slash. Even pop stars like John Mayer, Sheila E and The Pointer Sisters have made their way to this legendary stage. In November 1994, Eric Clapton graced the stage with three sold-out performances. The unprecedented concerts awed the crowd as Clapton called up Otis Rush to jam and nodded to the Who's Pete Townsend, who had stopped by to take in the show. Legends truly lives up to its name.